A telescope alone is not enough to do advanced astronomical research — the light they capture must be analysed by an instrument. There is a huge range of instruments and techniques that can help astronomers make the most of the information collected with a telescope. Interferometry is one of these techniques and has guided engineers to build highly-developed instruments for precise interferometric measurements. 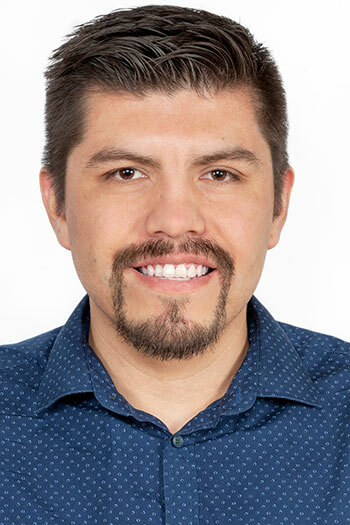 To learn more about these instruments, we catch up with ESO Fellow Joel Sanchez-Bermudez, who was involved with the GRAVITY instrument on the Very Large Telescope Interferometer at Paranal. Q: Joel, tell us a bit about yourself and how you came to ESO. A: I’ve always wondered about the mysteries hidden in the stars and about how the inherent creativity and curiosity of humankind have allowed us to unveil them. This is mainly why I decided to become an astronomer. After my PhD at the Universidad de Granada in Spain, I moved into my first postdoctoral position at the Max Planck Institute for Astronomy in Heidelberg, Germany, and then became an ESO Fellow in Santiago in December 2017. My duties are related to the instruments of the Very Large Telescope Interferometer (VLTI) at the Paranal Observatory. Q: What is it like working at Paranal up on the mountain? A: Working at Paranal is a very interesting experience. We’re in direct contact with the foremost ground-based telescopes on Earth. We manage them, use them to look at the sky (not only for our personal scientific interests but for the community), upgrade them and maintain them! That is a once-in-a-lifetime opportunity for an observational astronomer like me. We’re also based between an astonishing desert and one of the best skies on the planet. To me, this highlights our position in the scale of things and pushes my desire to use ESO telescopes to explore the stars. Q: What does your scientific research focus on? A: My scientific research focuses on the physics of massive stars. Studying these stars is important because they build up most of the chemical elements that form us and the Earth! Massive stars are rare and difficult to observe compared with their lower-mass counterparts. High-mass stars are formed in the densest regions of the molecular clouds within the Milky Way, where the newly-born stars spend around 20% of their lifetimes. Not only that — these clouds are more than 3000 light-years away from us. This makes it difficult to observe their early stages. Therefore, to study the physical processes of their evolution in detail, we need high-angular resolution techniques. I’ve studied the initial phases of the life of these massive stars; their (apparent) intrinsic multiplicity, meaning many of them are a multi-star system; and how their winds interact with other stars or the surrounding medium. To carry out these studies, I’ve used interferometric data in infrared, all obtained with ESO facilities — such as the Sparse Aperture Masking mode of the infrared camera NACO, the near-infrared long-baseline beam-combiners AMBER and PIONIER, and more recently with GRAVITY. In particular, I specialise in reconstructing images from interferometric data. I’ve been using GRAVITY to study the core of Eta Carinae, one of the most massive stars in the Milky Way. Q: What is interferometry? How does it improve our view of the Universe? A: Interferometry is a technique that allows astronomers to observe an object with two or more telescopes simultaneously. It allows us to observe some of the finest details of the stars by achieving a greater resolution — proportional to the distance between the telescopes in the interferometer — than by just one of the telescopes. The principle behind the technique is quite interesting and it is related to the wave nature of light. Interferometers capture the interference pattern of the light collected at each one of the telescopes, similar to mapping the crests and troughs at the intersection between two sets of ripples in a pond. Interferometers measure the contrast between the maxima and minima of the interference pattern. This pattern is associated with the size of the observed object in the orientation of an artificial straight line, known as a baseline, that connects two of the telescopes in the interferometer. Interferometry is a major player in many of our discoveries of the Universe, including measuring the speed of light, the discovery of pulsars, and the discovery of gravitational waves. Each of these discoveries has won a Nobel Prize. Infrared interferometry, which is what I focus on, is a relatively new field of research that has been consolidated during the last two decades. The new instrument at the VLTI, GRAVITY, will allow us to test the fundamental laws of physics at the centre of our Milky Way at infrared wavelengths. These same laws govern the Universe at large, so hopefully, these tests will be a major contribution. Q: What is the VLTI? A: The VLTI is the interferometric mode of the ESO telescopes at the Paranal Observatory, where, depending on the instrument, up to four telescopes can be combined to observe an astronomical source at the same time. When the light from the desired object arrives at each one of the telescopes, it is directed through a set of tunnels underneath the telescopes to the so-called “VLTI Lab” where a set of optical trains (called Delay Lines) synchronise the light by minimising the differences between the arrival time of the different stations. Then, light is delivered to one of the beam-combiners (GRAVITY, AMBER, PIONIER or MATISSE) where the interference of the different light beams is recorded in the detectors. Q: Tell us some more about GRAVITY. A: GRAVITY is the newest near-infrared beam-combiner at the VLTI, having seen first light in January 2016. This instrument allows us to combine the light of up to four telescopes, either the 1.8-metre Auxiliary Telescopes (ATs) or the 8-metre Unit Telescopes (UTs), at the Paranal site. The maximum angular resolution obtained with GRAVITY (i.e., the smallest details of an astronomical object that GRAVITY can distinguish) is proportional to the maximum separation between two of the telescopes in the interferometer. In the best case, the resolution is about two milliarcseconds — which is equivalent to seeing two objects separated by the distance of a pencil on the surface of the Moon! Q: GRAVITY is a second-generation instrument at the VLTI. How is it a step up from previous instruments? A: GRAVITY is a big step up from its predecessor, AMBER. First, because GRAVITY is able to combine up to four telescopes at the same time, while AMBER could only work with three of them. This improvement alone makes GRAVITY more effective in reconstructing images from interferometric data. GRAVITY also has other capabilities, such as observing two stars at the same time — with one of them used as a reference while the scientific data is obtained with the second one. This capability allowed researchers to observe the close approach of the star S2 to the black hole at the centre of the Milky Way this year. This was actually one of the science goals for the instrument. This particular skill is key to making observations of the S2 star, which is in orbit around the supermassive black hole, Sagittarius A*, at the centre of our galaxy. Monitoring this star is one of the primary science goals of GRAVITY — it aims to watch S2 as it makes its closest approach to Sagittarius A*, and ultimately test the effects of the general theory of relativity. The theory predicts that there will be a precession of the orbit of the star from the classical Newtonian solution. This is similar to the precession of the orbit of Mercury around the Sun measured in 1954. Without doubt, this is the most important experiment conducted with the VLTI! GRAVITY will also help us understand the morphology of the gas and dust in young stellar objects, the shape of winds in massive stars, the distribution of dust in the inner torus around Active Galactic Nuclei, and the motion of spots on the surface of some of the biggest stars in the galaxy. The VLTI also has another second-generation instrument, MATISSE, which saw first light just this year. This new interferometer will allow us to obtain — for the first time — the most detailed images of the dust distribution in stars and galaxies at mid-infrared wavelengths. This will be a huge step forward compared with its predecessor instrument, MIDI. This instrument didn’t allow us to recover images so that the full morphology of the objects could be appreciated, but only to measure sizes. Q: If you had unlimited resources and a great team, what kind of instrument would you like to see developed for the VLTI? A: I’d like to see an instrument that could combine the light from at least six telescopes at the same time. It would make use of all the existing Delay Lines at the VLTI and would increase the effectiveness of the new interferometric array to recover the best images of the studied objects. Of course, having two more telescopes in the array would require a new instrument to be developed — so I’d like to help design and build a new beam-combiner that could work at visible wavelengths, which would open up a new observational window compared to the already existing instruments (and with a higher resolution). One of the scientific cases that I would like to study with this new instrument is the morphology of young stellar objects (YSOs), which would reveal new clues on the different star and planet formation scenarios. An interferometer in the visible wavelength would compliment current studies on the multiplicity of massive stars by resolving more compact, binary stellar systems, allowing us to characterize their masses and possible evolutionary paths. The study of evolved stars, planetary nebulae, Cepheids and active galactic nuclei are also topics that could be covered with the proposed visible interferometer. Q: What excites you most in your work as an ESO Fellow? A: For me, working at ESO is like playing in the Champions League for football. 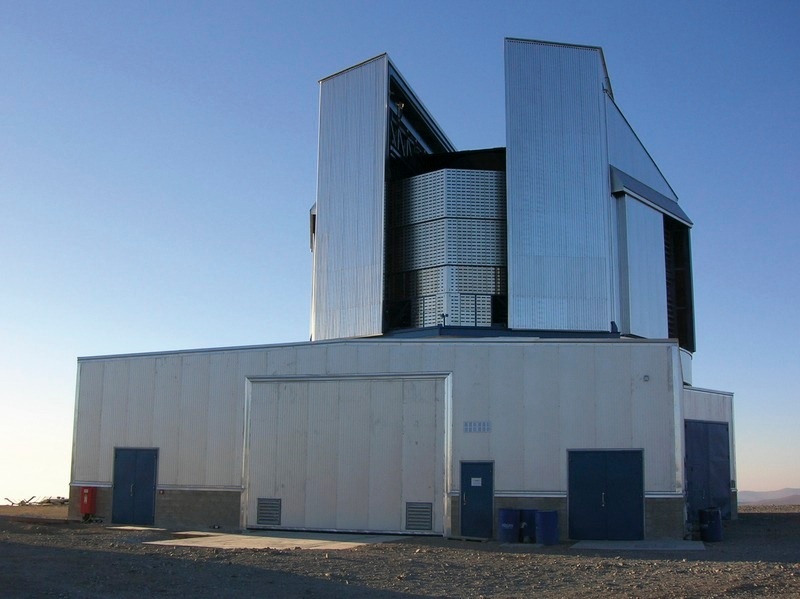 ESO is the most prolific observatory in the world, with a top-notch instrumentation. Having first-hand experience with the instruments and work in an international environment with world-leading experts in several areas of astronomy is always stimulating, and motivates me to continue with my research. For PhD recipients, applications for the ESO fellowship are currently open. Fellows are located either in Germany or Chile and can last for as long as four years depending on the fellowship. More information about the fellowship and how to apply can be found here.